Married Couples who Sleep in Separate Bedrooms because of Snoring – What can be done? If you and your spouse or partner sleep in different bedrooms, you are not alone. Over 20 percent of married couples alone sleep in separate rooms, and many for multiple reasons including opposite work schedules, having children with sleeping problems, underlying marital issues, and the most popular and burdensome being snoring. This may not be the first time married couples have slept apart throughout history. Married couples sleeping in separate bedrooms actually dates back to the 1800’s when one was considered royal to have their own sleeping quarters. English royals including land owners, kings, and queens conducted numerous business deals, and made great economic decisions in the comfort of one’s own bedroom. Bedrooms in the 1800’s and 1900’s were more public spaces than the privates areas we are familiar with today. Most affluent men and women played different roles in the household, therefore having separate rooms for their belongings. Men had several staff and servants to dress him in the morning, provide breakfast to him in the bed room, and then invite businessman into his quarters for meetings. The same went for women – their staff would dress and feed them, and close friends or staff met in the bedroom to arrange the day’s social calendar and agenda. Many important life events took place in the bedroom throughout history like birth, sickness, and death – another reason why couples had separate bedrooms. It’s no fun sharing a bed soaked with birthing fluids, or sleeping next to someone with dysentery. As economies progressed and modernized, and the introduction of household plumbing became mainstream, separate sleeping quarters for men and women became less common and separate dressing rooms or closets were gradually introduced. Now, modern-day sleeping arrangements suggest that spouses or partners share the same room and bed. Or is that really how it seems? It’s probably safe to say that the reason you are sleeping away from your partner is not due to being an affluent King and Queen. The reason for your separate sleeping quarters are probably listed in one of the following causes, and I’m willing to bet that most are due to snoring. One cause of couples sleeping separately is the underlying issue of marital problems and domestic disputes. With nearly 50% of marriages ending in divorces these days, the reality of sleeping in separate bedrooms may not be a good sign. Some spouses with children under the age of 18 may choose to continue on with their marriage until their kids are grown and may simply sleep in separate rooms and blame the other for snoring as a cover-up. Really, they are just masking their underlying marital issues from their kids. Other couples prefer not to wake up their partner due to opposite work schedules and late nights coming home. Many American homes have at least 1 parent working multiple jobs and shifts to make ends meet, even if it means coming home to another bedroom away from your spouse so you don’t disturb their sleeping. Corporate jet-setters may choose to sleep in another room so they don’t wake their spouse in the early morning hours when they have to get ready to catch a 5am flight. Others may completely work on opposite schedules and may just be going to bed when their spouse hears the alarm go off in the morning. Although a bad habit to start at a young age, some first time mothers allow their children to sleep with them early on and continue to let them sleep in their bed as the years pass. This may force the husband or spouse out of the bedroom and into the child’s bed. If the child gets into this habit, it’s hard to break the child out of it as well as the spouse that initiated the co-sleeping from the beginning. This is often seen in families with an only child and can put a lot of tension on a marriage. The most common reason married couples sleep in different beds is due to the fact that one partner snores. Snoring impacts 25% of people in the U.S. on a regular basis and over 50% on an occasional basis. Snoring can cause a partner to leave the bedroom indefinitely or until a viable solution has been found. We’ve always Slept in the Same Bed – Why are We Sleeping in Different Rooms Now? Most couples, married or not, may ask themselves, “When did we actually start sleeping in different rooms?”. And yes, it may be years for some people. Like most Americans who meet at a young age or in college, they are active, healthy and fit in their younger years. They most likely have not developed a snoring problem like older people who carry excess weight, drink regularly, and may have sleep apnea. Is age actually the culprit? One reason you may notice the need to sleep in the room next to your snoring partner is that they may have gained a few pounds over the years. Weight gain, especially fat formed around the neck and face, can be a direct correlation to snoring. Fatty tissue can build up around the throat and down the neck and will block the airway at night when your tongue relaxes. This blockage causes the tissues in your mouth to vibrate as air passes by, which results in the loud and annoying sound of snoring. Many couples notice that they have gained weight throughout the years, and if you find yourself sleeping in a different bedroom than your spouse, as well as having a few extra pounds on you, then weight gain may just be the root of your snoring problem. Another reason why you may not have snored early on in your relationship but do now, is that you may have obstructive sleep apnea. The older you get, the more you are at risk of having a stroke, diabetes, asthma issues, heart attacks, or high blood pressure. All of these medical conditions that you may not have had when you first started sleeping next to your partner, but you do now, can correlate with sleep apnea. Sleep apnea usually has symptoms of loud snoring followed by a period of non-snoring, when you actually stop breathing, and then start snoring again. This occurs because your airway is actually being blocked. It is a serious condition to be on the look out for. If you think your partner has sleep apnea, you should consult a doctor so that a sleep study can be administered. When you and your partner started sleeping in the same bed together, chances are you did not consume alcohol on a regular basis in your early years. As you get older and have to deal with more decision making and stress, one tends to drink more. Drinking has a direct impact on snoring and may also be the reason why you and your partner sleep in separate bedrooms. When you drink, the muscles in your body tend to relax. When your throat muscles relax and your tongue relaxes, it rests towards the back of your throat, thus causing your throat muscles to relax and vibrate as air passes down the airway. Excessive drinking can lead to excessive snoring and your spouse leaving the room for an attractive quiet night’s sleep in the room across the hallway or on the couch. Yes, sleeping in separate rooms can be troublesome in a relationship, but the truth is that it doesn’t need to be like that forever. If the real reason why you sleep away from each other is indeed snoring, there are hundreds of products available that are effective in treating your snoring and getting you back to sharing a bed. 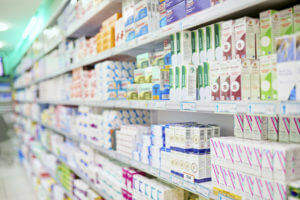 One solution to treat snoring is the use of nasal strips. These adhere to your face right below your nostrils and above your lips. They control the airflow in and out of your nostrils in order to increase airflow in through the nose and out of the mouth, thus reducing snoring. Snoring chin straps can be purchased by nose breathers in order to promote breathing through the nose and not the mouth. The chin straps holds the mouth closed so that you can not snore through your mouth. There are several styles of anti-snoring pillows on the market that can curb snoring. Some promote side- sleeping so that your throat muscles do not relax and obstruct the flow of air at night. Other pillows gently raise the elevation of your head so that your air passageway remains open through the entire night, thus cutting back on snoring. 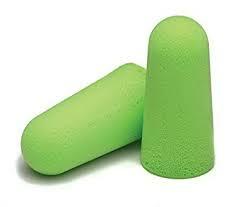 Another product that does not solve the problem of snoring, but will get you back in the bedroom are earplugs. Surprisingly enough, earplugs are typically the first step in trying to prevent your spouse from leaving the bedroom. In most cases, earplugs are effective in the short term. Long-term stop-snoring solutions should be researched though. A somnoplasty is an outpatient procedure where a needle is placed under the surface of your throat tissues and low power energy is applied and creates lesions. The lesions prevent the throat tissues from vibrating as air flows by, preventing snoring. 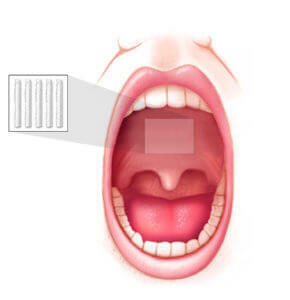 The Pillar Procedure is a surgery where small polyester rods are placed beneath the surface of the soft palate tissues. Similar to a somnoplasty, the tissues then harden and stop any vibration that would usually occur during snoring. 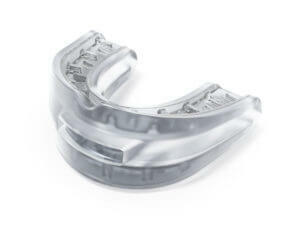 mouthpieces that target snoring and stop snoring completely. Snoring mouthpieces do require a prescription, however in most cases, you simply fill out a form before purchasing, and if the questions are answered in a certain way, a prescription will automatically be ordered for the product and you can move forward with the purchase. back in the room for a good night’s rest. You can compare some of the best mouthpieces in the market here that I have personally used throughout the years. Which Snoring solution is the best? There are many snoring solutions out there that will help you and your partner to get a good night’s sleep, and in the same bed. Do some reading and choose the best stop snoring solution for you. It’s always good to consult with your doctor especially if you or a loved one shows signs of sleep apnea. None of the above solutions treat sleep apnea, as it needs to be diagnosed by a sleep study and monitored by a doctor. 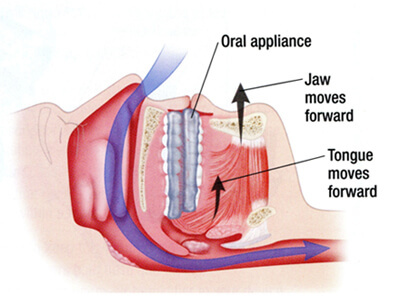 Previous post: Will Losing Weight Help to Stop My Snoring or OSA?